As promised, here is another great apron pattern from the same vintage World War II pattern book as the last pattern. This pattern is a bit more challenging but the end result is worth it. What a classic, lovely style! 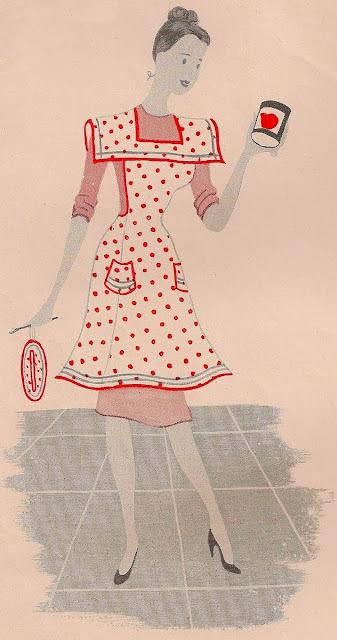 Previous sewing experience will be helpful when using this pattern and following the original directions. 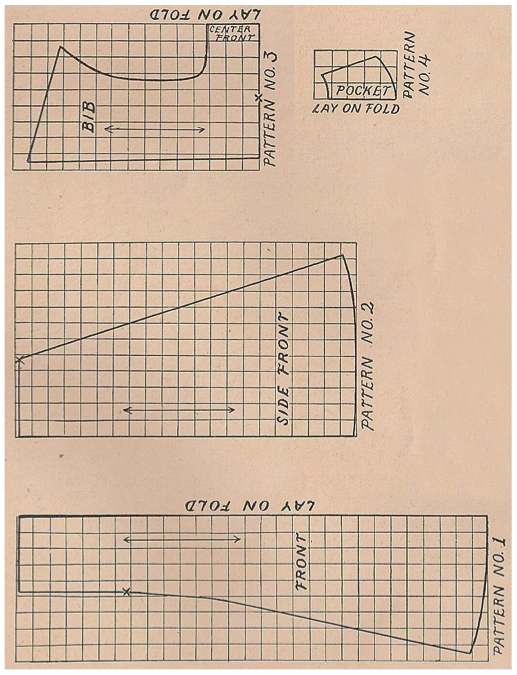 You will need to draft your pattern using the following scale. Each square represents an inch. For additional helpful information, check my previous post. You can find it here. It includes information about how to scale your pattern and how to gather your fabric by machine. I've got a couple more of these gems so check back soon!